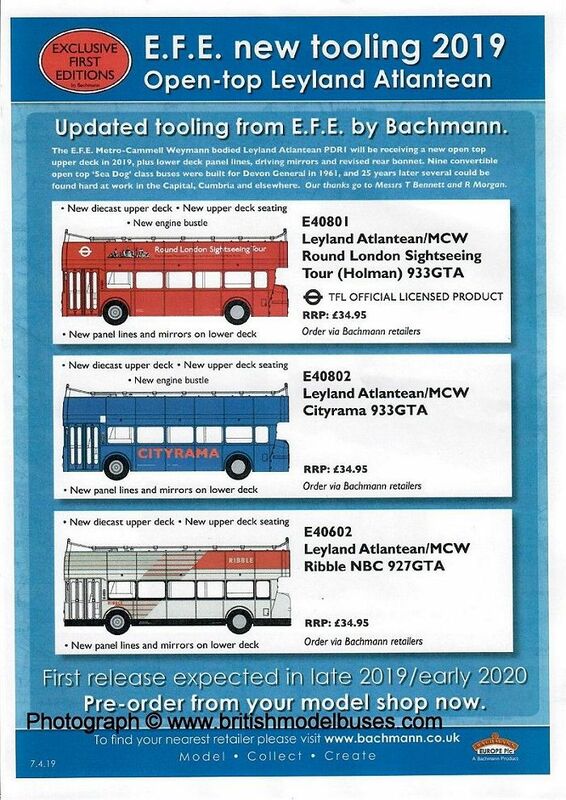 Herewith we itemise an update on likely release dates and production status for previously announced models in the UKBUS6500 range. In addition, two new future releases are announced. Production delays, due to shortage of appropriate labour across all factories in southern China, are affecting many manufacturers and it is appropriate that NMC should advise you accordingly. 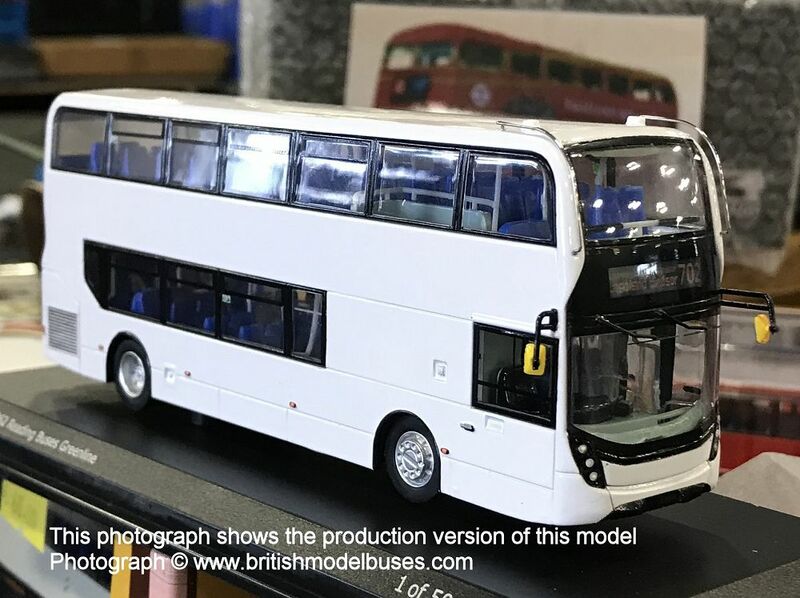 UKBUS6510 - Yellow Buses (200 – SN17MTO) : production is scheduled for completion by the end of April 2019. 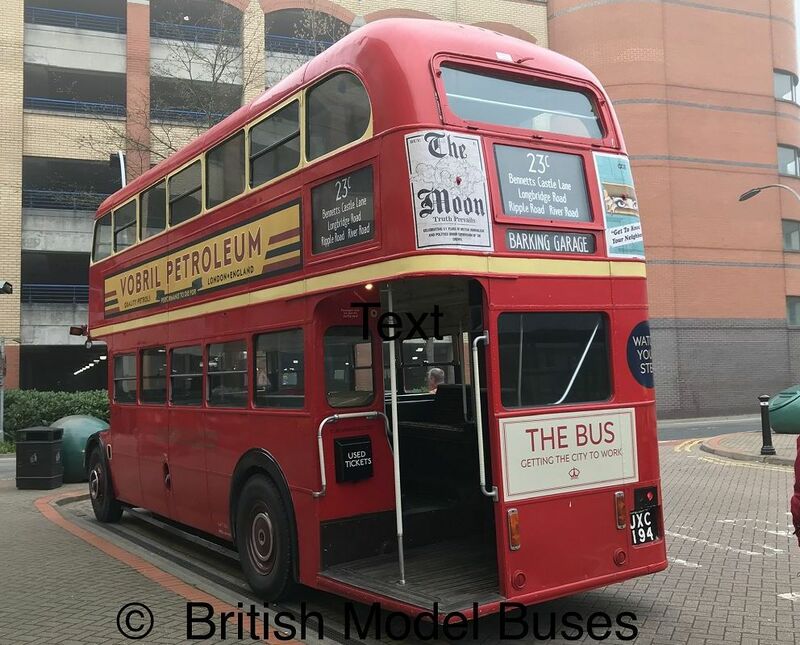 UKBUS6511 – Stagecoach Western Buses (10930 – SN67XAY) : pre-production samples have been issued for checking and production is scheduled to commence in early June 2019. 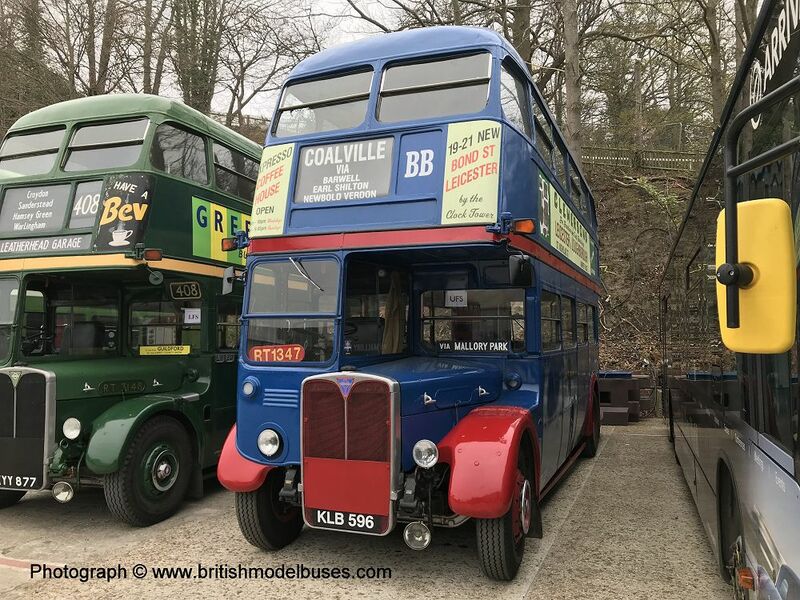 UKBUS6512 - Southern Vectis (1660 – HW67AHY) : pre-production samples for checking are in the course of being prepared with an anticipated production slot being available during early July 2019. 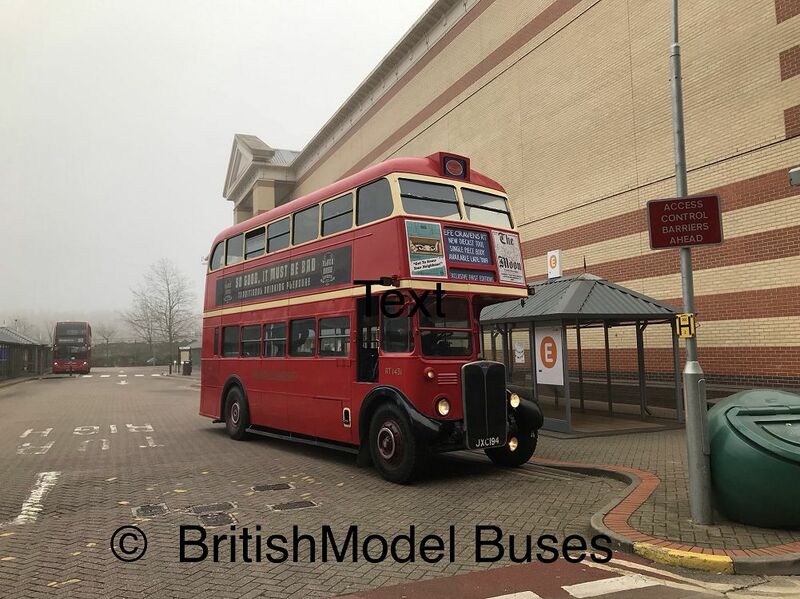 UKBUS6513 – Stagecoach South (10892 – YX67VCE) : pre-production samples have been issued for checking and production is scheduled to commence in mid-May 2019. 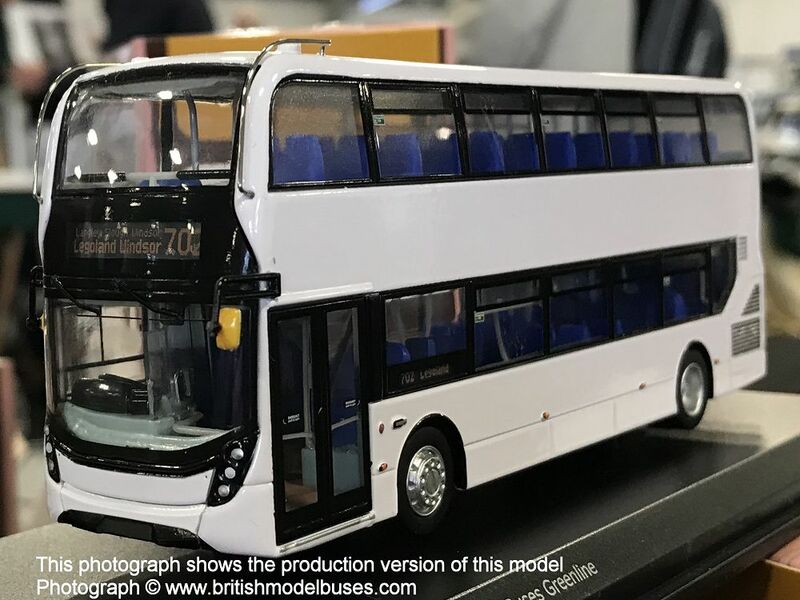 UKBUS6514 - First in Glasgow (33201 - SK68LWN) : pre-production samples for checking are due to be released in mid-May 2019. 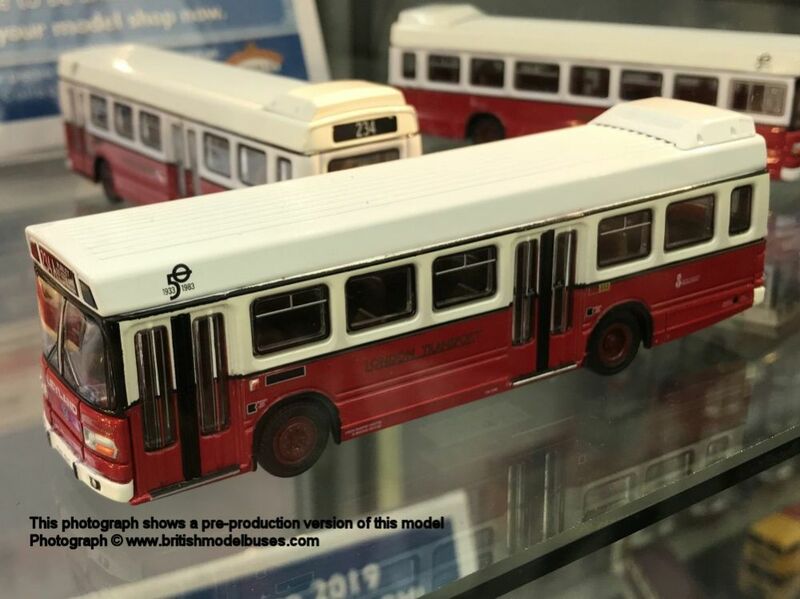 UKBUS6515 - Metroline (TEH2087 – LK15CUH) : pre-production samples are currently being checked for approval with an anticipated production slot being available during early May 2019. 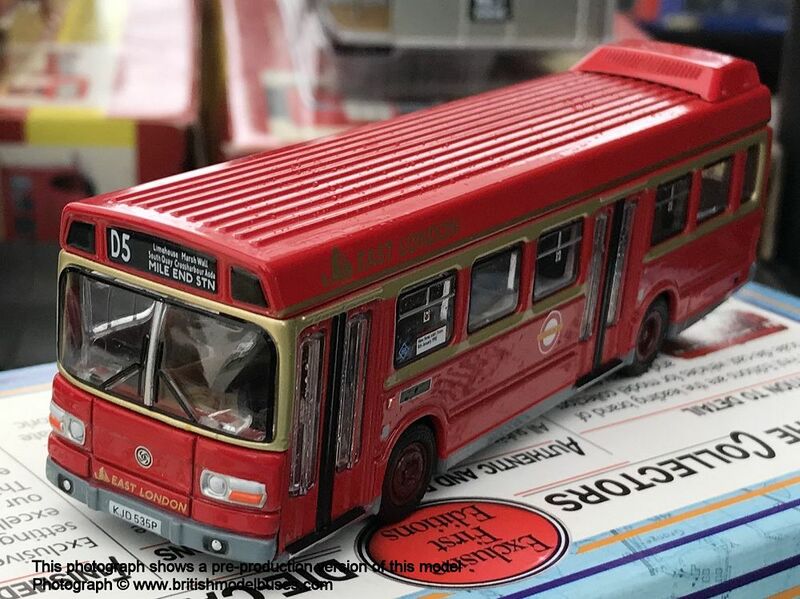 UKBUS6516 – Stagecoach South Gold (10770 – SN66VYR) : pre-production samples for checking are in the course of being prepared with an anticipated production slot being available during mid July 2019. 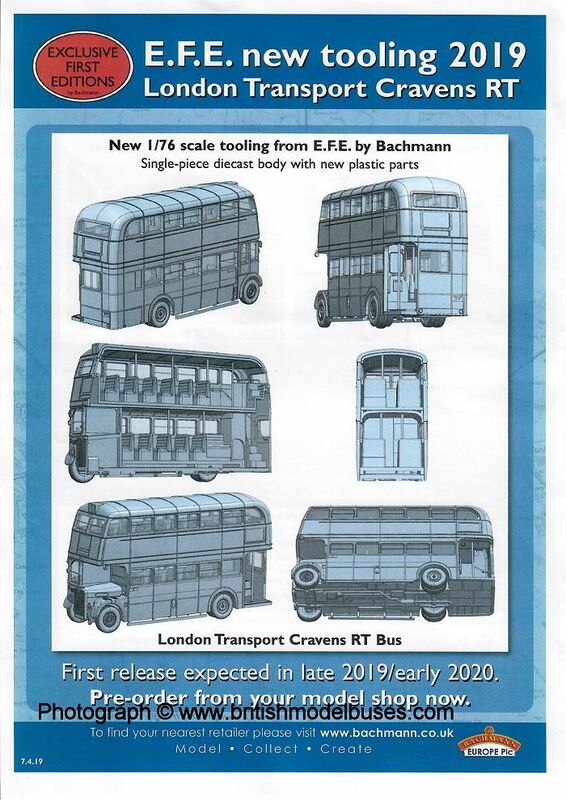 UKBUS6517 – 10.5m CKD kit – the planning for this kit, comprising a full set of unpainted parts for collector self-assembly, is almost complete and an anticipated release date of mid-June 2019 is planned. Please note that the release dates quoted above are anticipated completion dates, not necessarily when the models will be on sale at your retailer. Some detail may change during the production process. In response to several emails and comments regarding the radiator on the original EFE RT casting which has been described by many as "inaccurate" or "toy like", I contacted Bachmann. 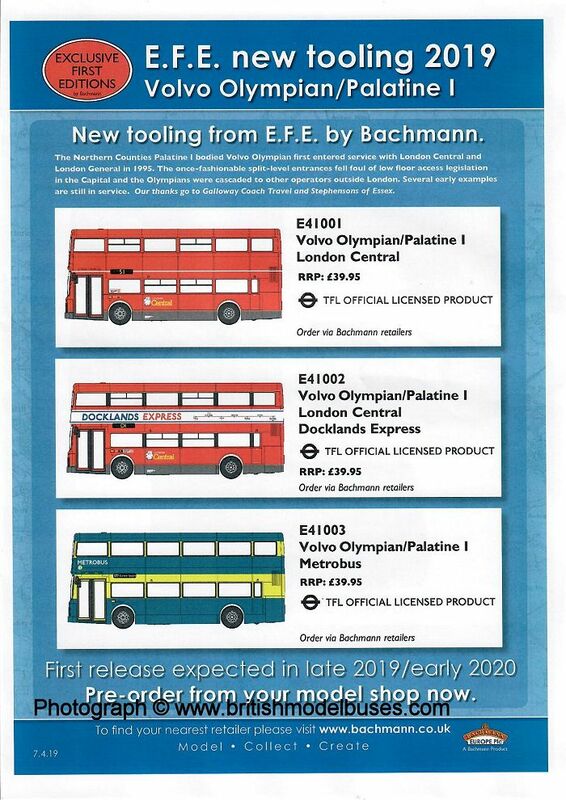 Bachmann advised me today “As outlined in the launch information, the only parts used from existing E.F.E. inventory will be the front and rear wheel hubs, so please be assured that the radiator will be an all-new design for this new model”. 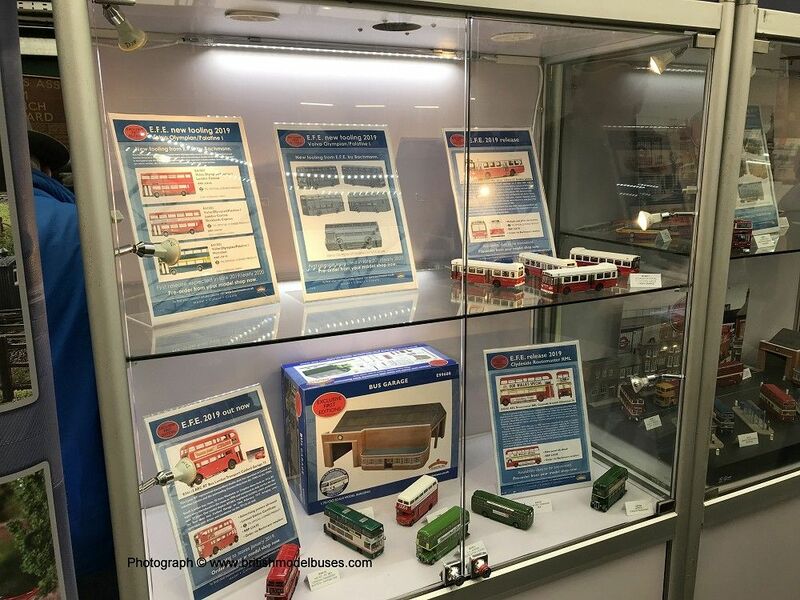 The attached photograph shows the radiator on Craven RT1431, used by Bachmann at the London Bus Museum Spring Gathering on Sunday, to promote the new casting. 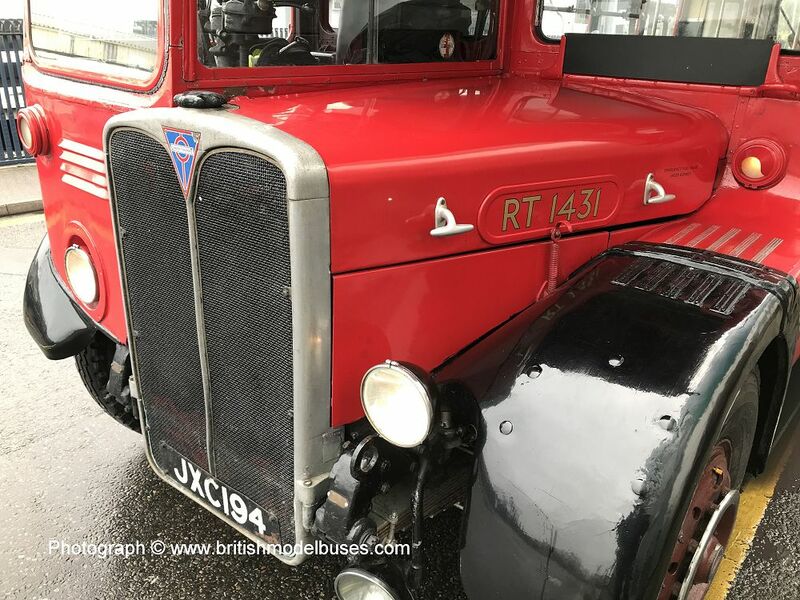 This year, I travelled to the London Bus Museum on the Bachmann EFE Subscribers bus from The Lakeside Shopping Centre in Essex (Ensignbus owned Craven RT - London Transport RT1431) to Brooklands. The bus was used to promote EFE's new casting the Craven RT and displayed blinds making the announcement. Further details of the model were released at Brooklands. Thank you to the guys from Bachmann, together with the driver and conductor from Ensignbus for making the day so enjoyable. 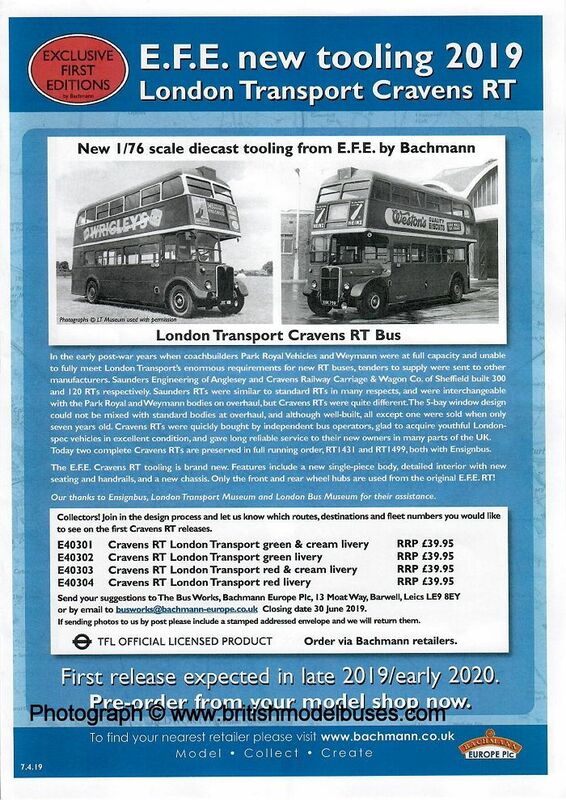 In the London Bus Museum, Bachmann had a display which included flyers showing: 1 Details of the Craven RT and on the rear the latest CAD drawing of the model. 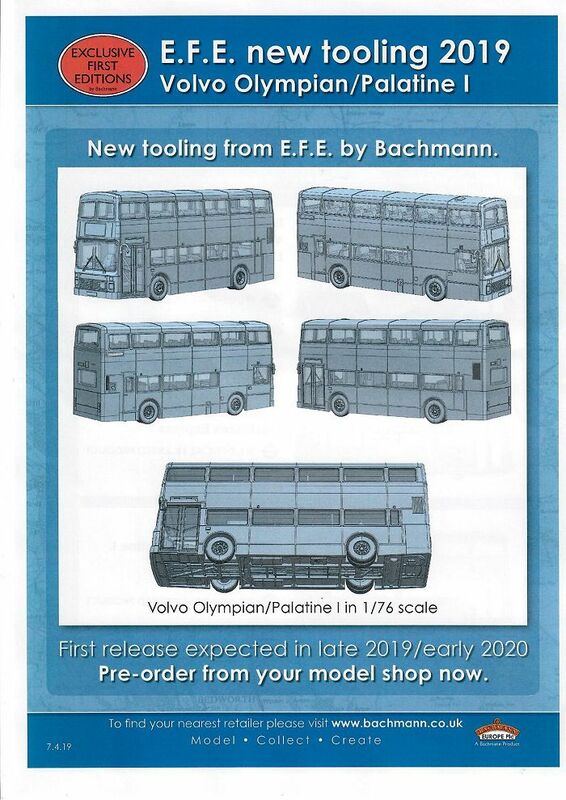 2 Information regarding their previously announced Volvo Olympian/Palatine 1 models and on the rear the latest CAD drawing of the models and 3. 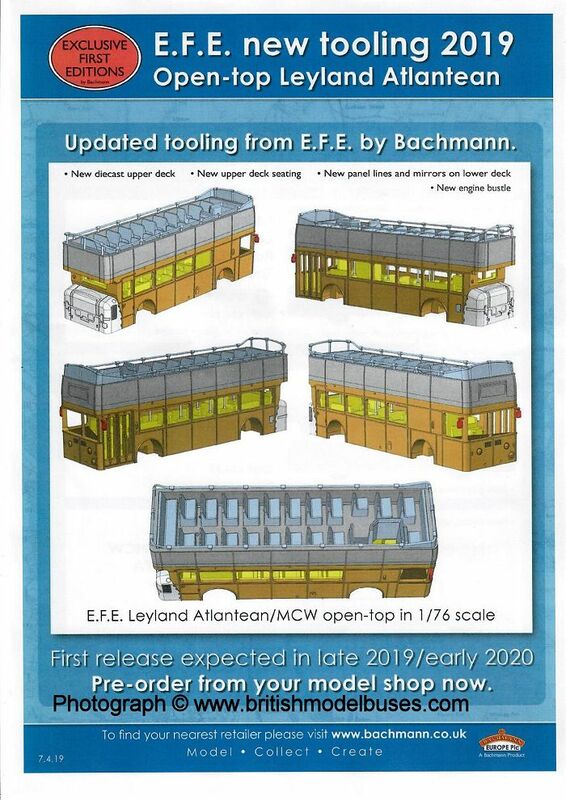 Information regarding the previously announced open top Leyland Atlantean models and again a flyer of the latest CAD drawing on the rear. 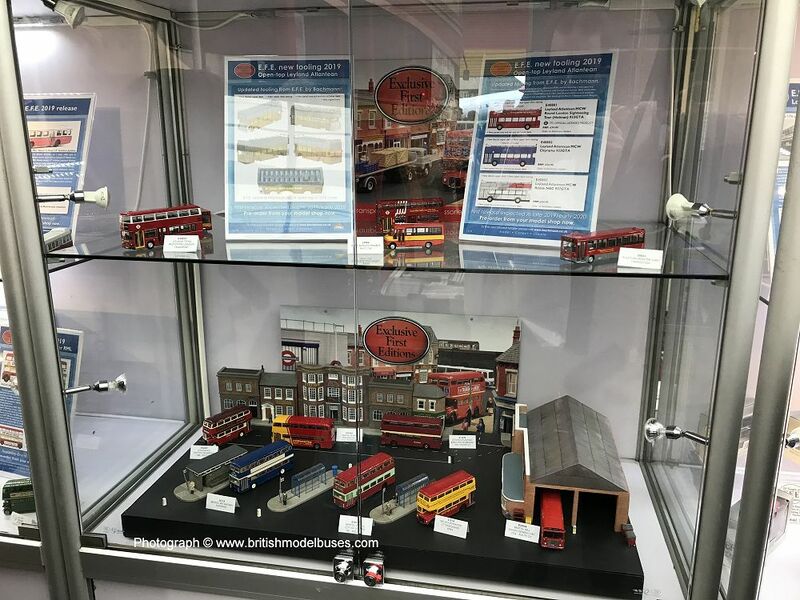 A selection of previously released models were on display together with the latest pre-production samples of models of 16611 Leyland National - London Transport Golden Jubilee and 34116 AEC RT - Brown’s Blue. 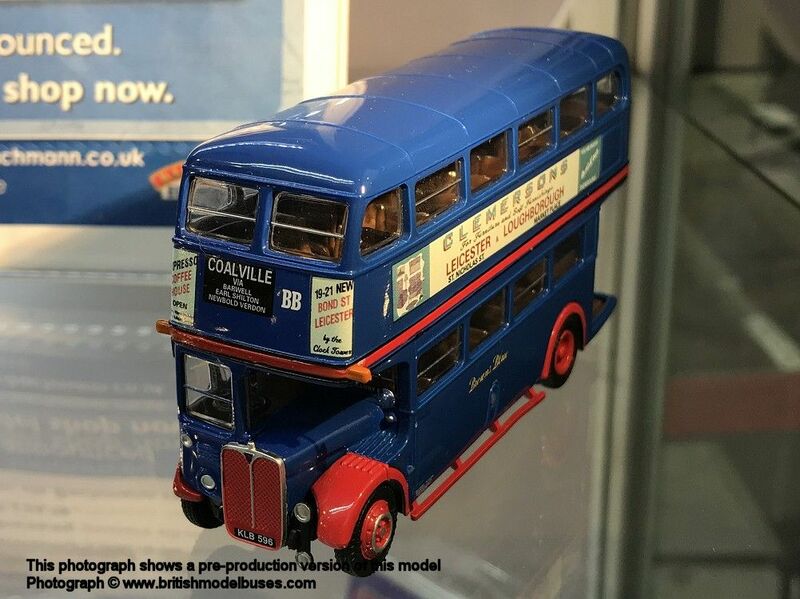 The actual Browns Blue RT being modelled, was on display together with a number of other RT buses on the Rally site. Vehicle details have yet to be confirmed and a release is expected late 2019/early 2020. 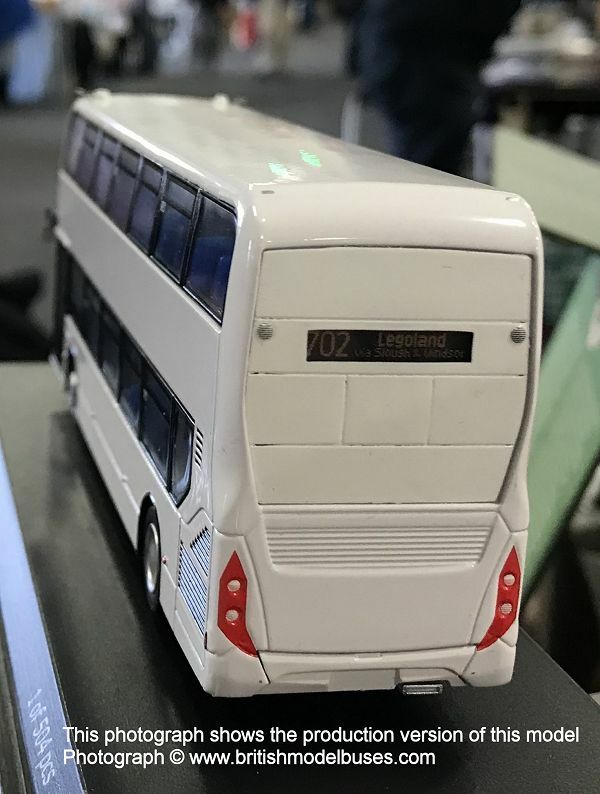 A stallholder had the NMC Plain white Enviro400MMC on display on their stall at the South East Bus Festival at the Kent Showground on Saturday (6th April). I was very grateful to her for removing the model from its box so I could photograph it. This was the first time I had seen one of these models on sale on a stall (rather than on line) and it was priced at £120.00. 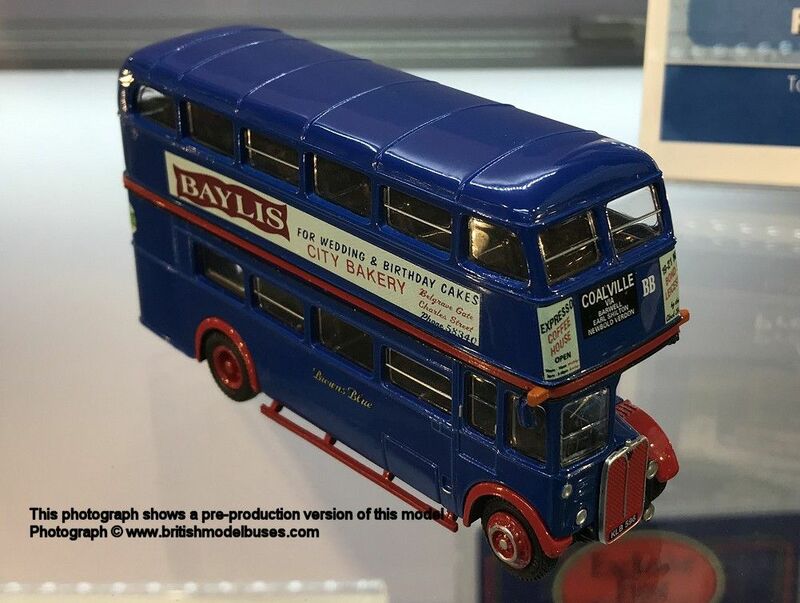 I have been advised by a reliable source that fewer than 48 of these models were produced as a private commission and have the stock code of N6505A (I have since been advised by a visitor to the British Model Buses Facebook page that the quantity produced is 36). 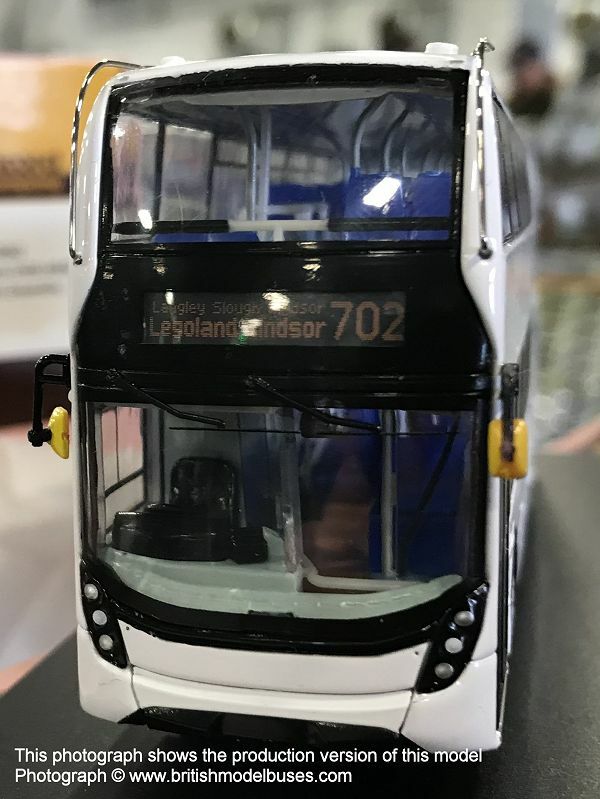 They are based on the Reading Buses casting UKBUS0062 and carry the destination of Legoland Windsor on Route 702. The models carry no further markings. The model was supplied in a completely blank box. 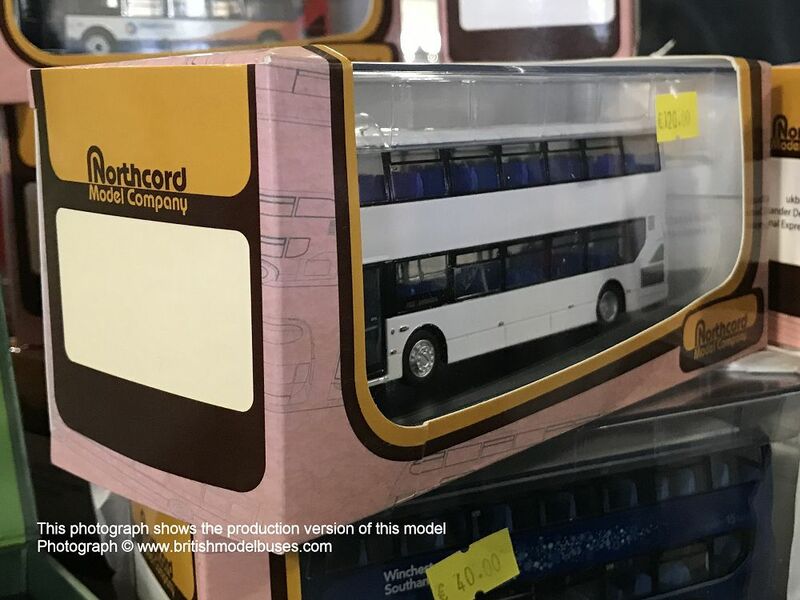 At the London Bus Museum Spring Gathering yesterday, I learned that TTC Diecast have commissioned a totally plain white Enviro400MMC model from The Northcord Model Company. These models WILL NOT carry any vehicle markings, route or destination. I understand that TTC Diecast will be releasing further details shortly. 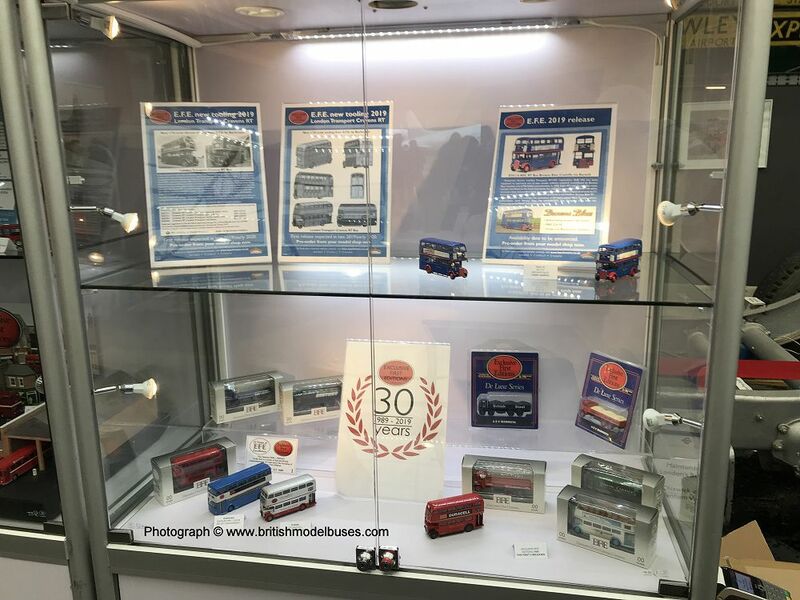 TTC Diecast attended the South East Bus Festival at the Kent County Showground at Detling today and had the latest pre-production sample of their EFE commissioned model 16610Z Leyland National - East London on display. 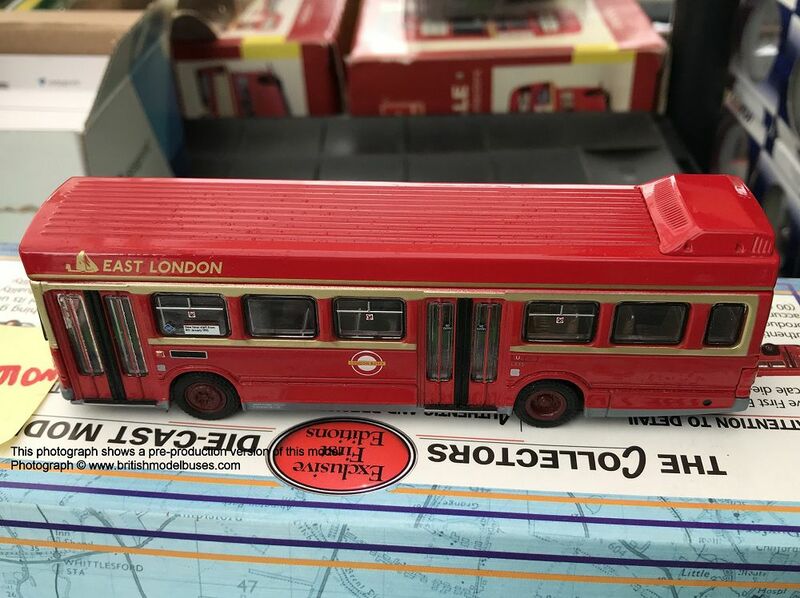 I understand that this model has a number of modifications from previous pre-production samples that TTC Diecast have displayed on their stall and once this sample is signed off, it will go into production.